Wikipedia is the freely licensed online encyclopedia launched in 2001, that is created and edited by volunteers from around the world. Wikipedia is available in over 240 languages and is the largest reference work on the Internet. 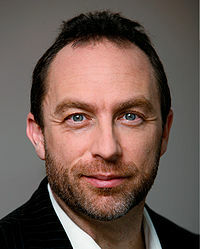 We asked Wikipedia founder and leader Jimmy Wales about the importance of free software to Wikipedia's mission of spreading free knowledge. "People sometimes ask me why I’m so adamant that Wikipedia must always use free software, even when in some cases it might be the case that proprietary software might be more convenient or better suited for some particular need that we have. After all, the argument goes, our primary mission is to produce free knowledge, not to promote free software, and while we might prefer free software on practical grounds (since it is generally best of breed for webserving applications), we should not be sticklers about it. I believe this argument is seriously mistaken, and not on merely practical grounds, but on grounds of principle. Free knowledge requires free software. It is a conceptual error to think about our mission as being somehow separate from that." Today, Wikipedia is ranked in the top 10 most popular websites with more than 370 million visitors per month. Wikipedia is supported by the Wikimedia Foundation, who use hundreds of servers running the GNU/Linux system and the Apache web server, to serve up the wiki software MediaWiki to its users.